Hello and welcome to exampundit. 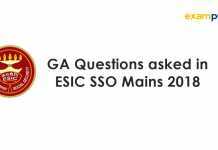 Today was SBI Clerk Mains 2018. 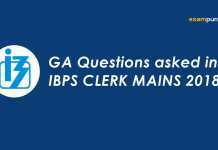 Here are the GA Questions asked in SBI Clerk Mains 2018 in both shifts. 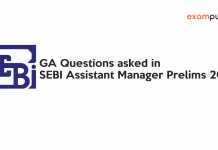 Thanks to Sourav for sharing all the GA Questions asked in SBI Clerk Mains 2018 with us. 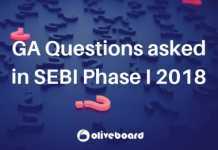 If you have any to add, feel free to comment below!